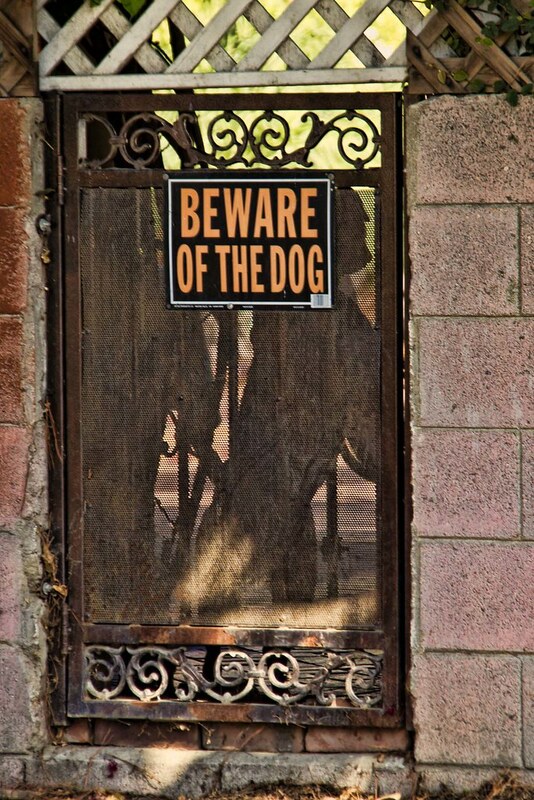 As I passed this gate, I liked the silhouette of what I assume to be this home's "guard dog." Many of us rely on our dogs to protect our homes. What I never really thought much about was that using dogs for protection is actually an an ancient "alarm" system and posting a warning sign to keep trespassers away has been used for centuries. In Pompeii, Italy, (dating back to 79 AD), mosaics that read "Cave Canum" often were placed at the entrance of a building or a home to serve as a "no trespassing" sign. Cave canum is Latin for "beware of the dog." I found it amusing to note that my source for this information believed that the citizens of Pompeii did this whether or not they actually had a dog. I want a cave canum sign!